Would you like to earn FREE Stampin’ Up products? There are 3 ways to earn FREE Stampin’ Up products when you shop with me. Let’s take a look at how ordering from PaperCraftsbyElaine.com will allow you to enjoy more. Free Stampin’ Up products as a member of my Customer Loyalty Program. If you order is $100 (before shipping and tax) you can complete 2 boxes, $150 you can complete 3 boxes, etc. However is your order is $49.99 you are not eligible to complete a box. Customer Loyalty program card must be complete within one year of the first order. You are responsible for keeping up with your own Customer Loyalty progress. Free Stampin’ Up products will be shipped at my expense. WOW FREE SHIPPING and NO TAX. I will also pay taxes on your FREE Stampin’ Up order. Demonstrator may not participate in my Customer Loyalty program. . 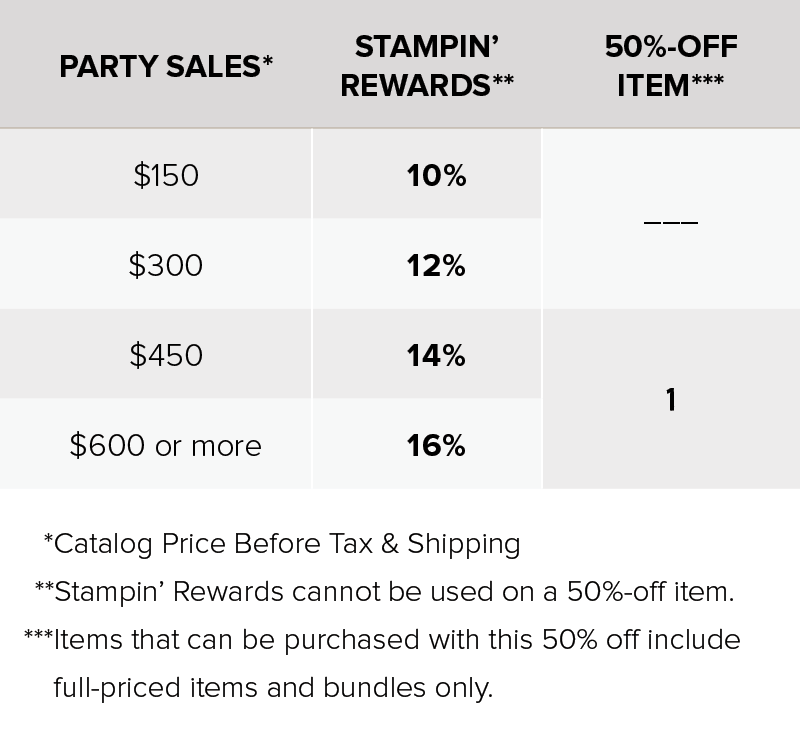 Customer Loyalty Program allows you to earn FREE Stampin Up products. PS. High-five for forwarding: If you know someone who might appreciate hearing from me, please forward this newsletter, with an invitation to subscribe here: www.papercraftsbyelaine.com/newsletter.